Great schools change to reflect their communities and provide new educational opportunities for students. Webster Elementary’s own history mirrors the ebb and flow of young families in central neighborhoods along the Mississippi Riverfront. The school was built in 1974, closed in 2006, renovated by TSP to create District offices in 2007, and sat vacant for several years. Then, in 2013, TSP helped District planners identify and prioritize several goals to reopen and reinvigorate Webster as a modern PK-5 elementary. 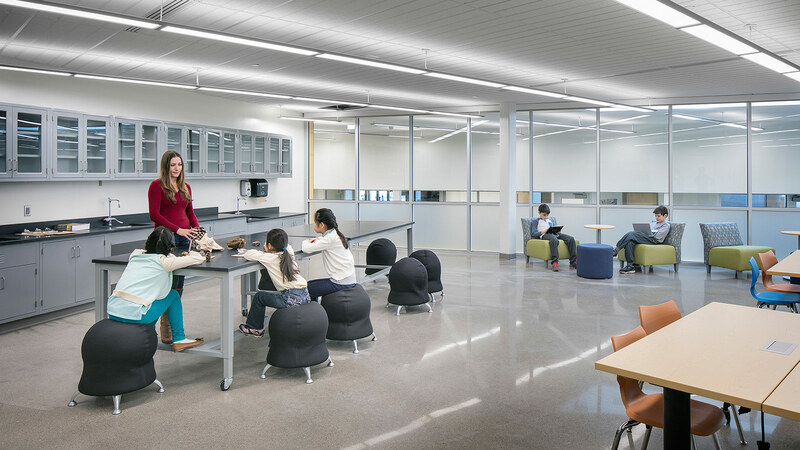 The project team created a design that brings natural light into the building, improves classroom spaces, and incorporates 21st Century Learning tools to support hands-on learning, special education, and mobile technology. TSP and the District held to an aggressive schedule, with just six months of construction before opening at the start of the 2015-2016 school year. As part of the strategic focus to enhance security and safety, TSP moved the main administration office to the building’s re-designed entrance. 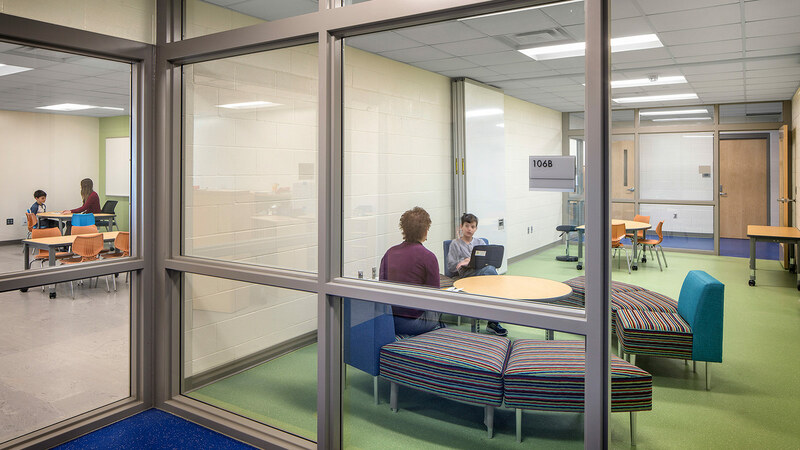 Inside, the dramatic transformation includes a new kitchen and elevator, a black box theater, and labs for project-based learning. 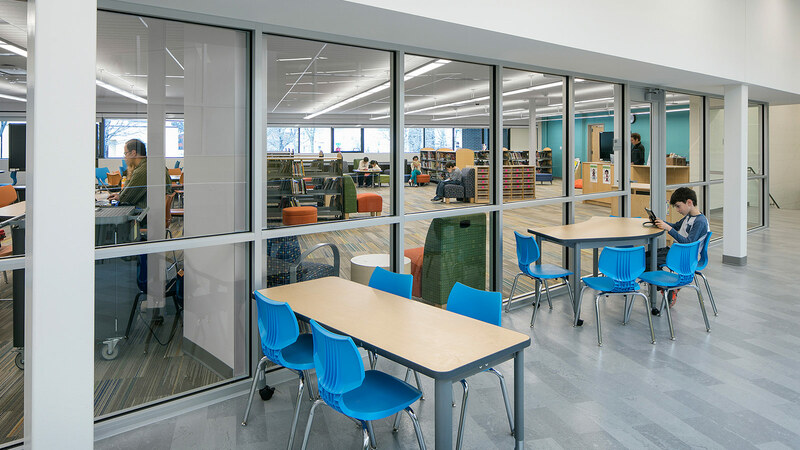 We also restructured the previous media center’s atrium to provide more usable space, infilling it with a two-story block of rooms for hands-on learning and special education. 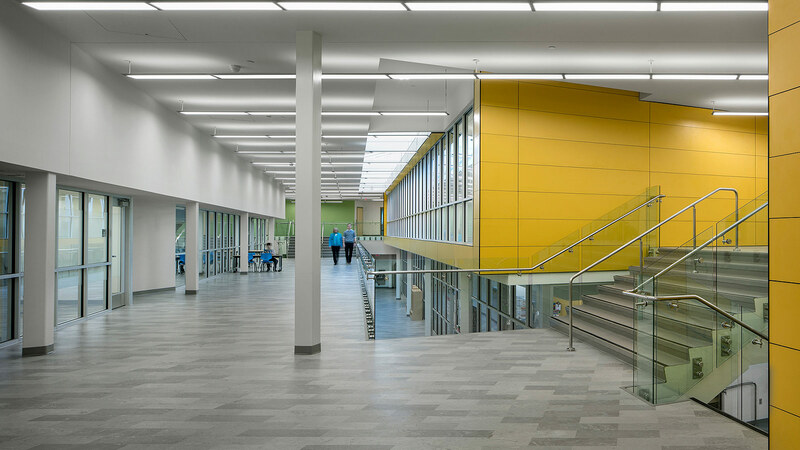 A 70-foot-long skylight and 4,620 sf of interior glass panels flood the building with daylight, helping conserve electricity and creating a more natural feel. 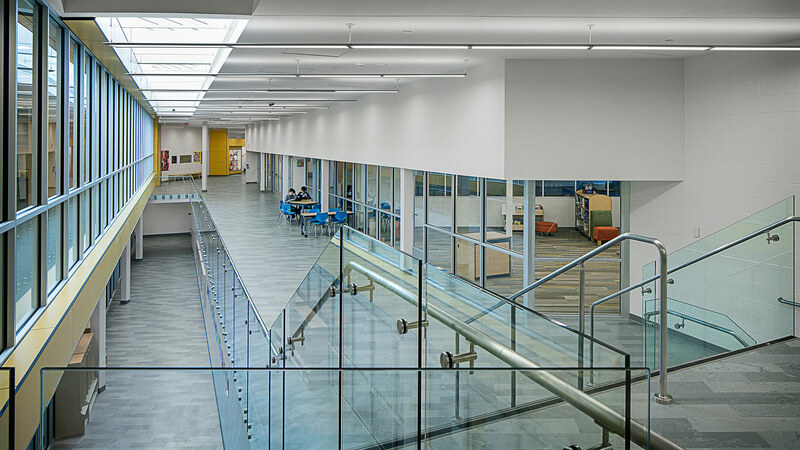 Energy-efficient LED lighting―nearly a mile of it―and a new HVAC system contribute to a comfortable, quality learning environment. 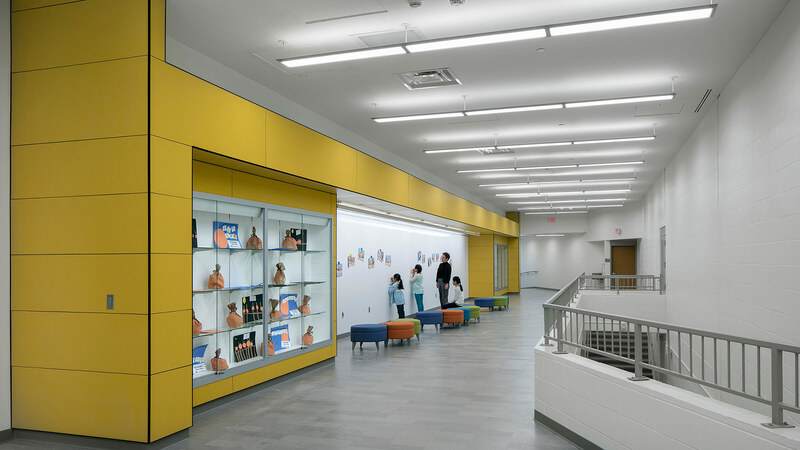 The project updated Webster Elementary to meet the District’s prototype requirements. In this first year (2016), the school is home to K–2 students and an early childhood special education program. Webster Elementary will add a grade each of the following three years, ultimately growing into a PK–5 school. Construction bids came in under budget in a highly volatile bidding climate. 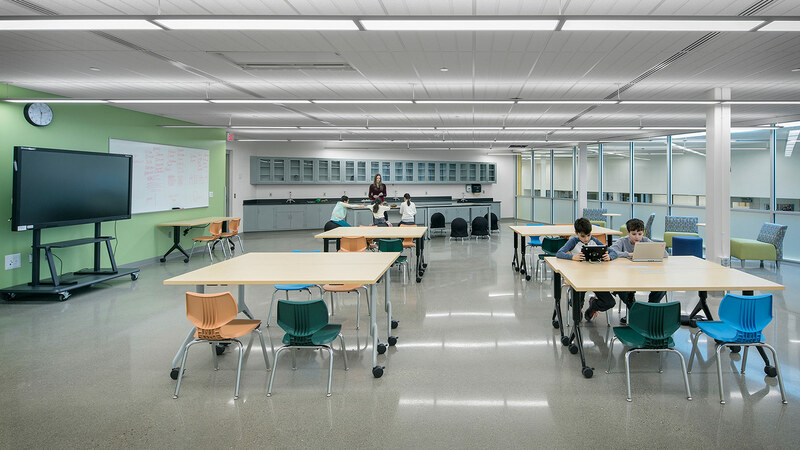 This gave the District room to incorporate all desired alternatives—and still have a comfortable construction contingency. 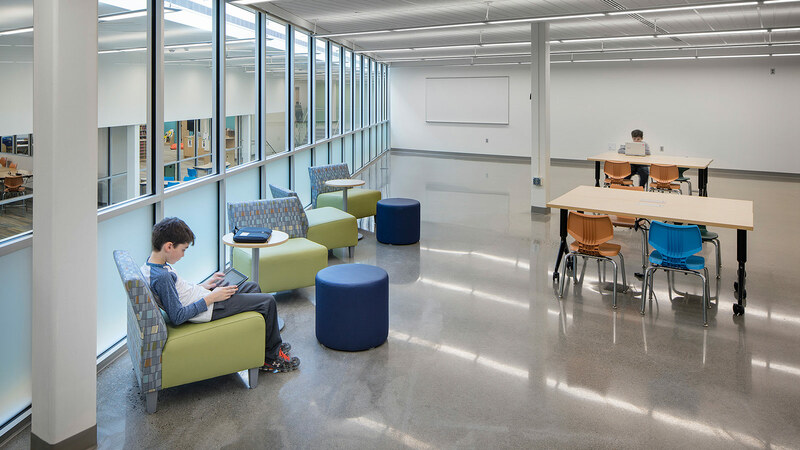 The project gained a wood gymnasium floor, rubber-tile flooring in classrooms, additional exterior windows, LED lighting, and a learning center for school and community use.